Here we will talk you through opening an SVG file in the Silhouette Studio Designer Edition or Business Edition software. 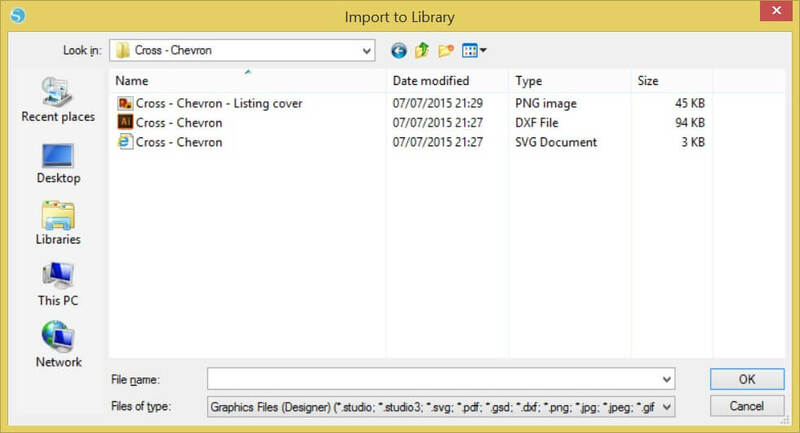 SVG files will not open with the Basic Edition software although this same method will work if you are opening DXF Files in the Silhouette Studio Basic Edition. There are a three ways (that I know of) to open SVG files in Silhouette Studio. e, Import, Import to Library. Navigate to where the SVG file is saved on your computer, for this example I am wanting to open one of my cross designs. Double click on the SVG document you want to import. Now don’t panic it will seem as though nothing has happened, however the design has now been saved in your ‘My own designs’ folder in ‘My Library’. 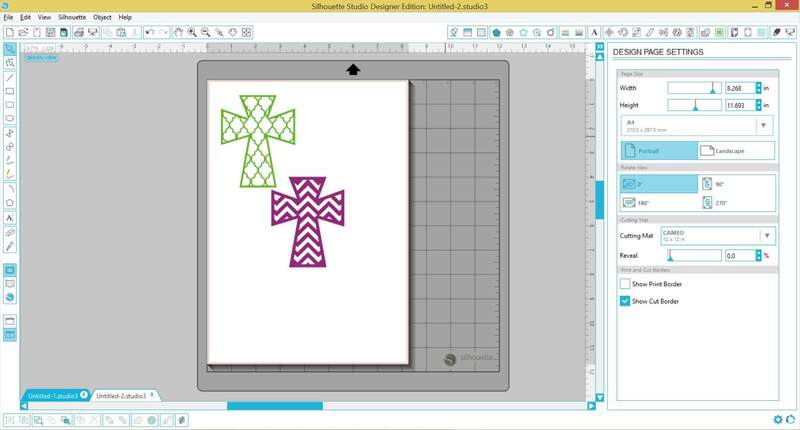 As you can see from the below image, the cross design is now in my ‘my own designs’ folder in Silhouette Studio. If you want to use the design straight away all you need to do is double click on the design and it will open in a new window. 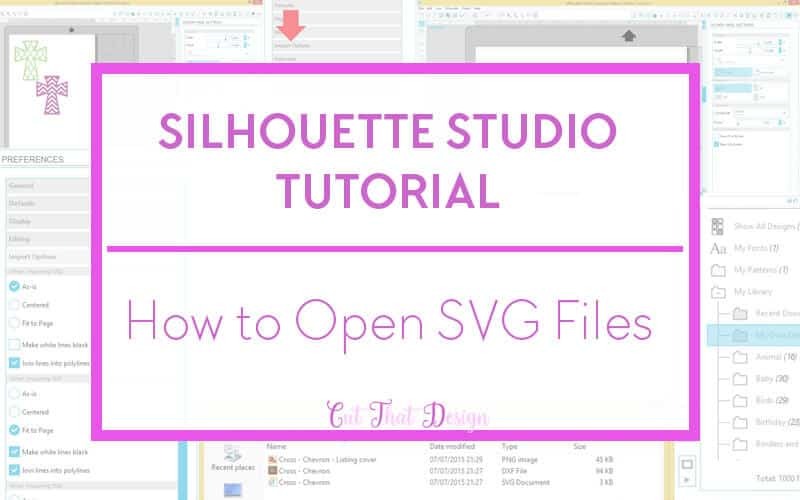 Another way to open an SVG file in Silhouette Studio is, go to file, open, navigate to where the SVG file is saved, double click and the file will open in a new window. The merge option is another way to open an SVG file, go to file, click merge, and navigate to where the SVG file is saved, double click. The file again will open in a new window. The merge option also allows you to open SVG files on the same canvas, as shown in the picture below. 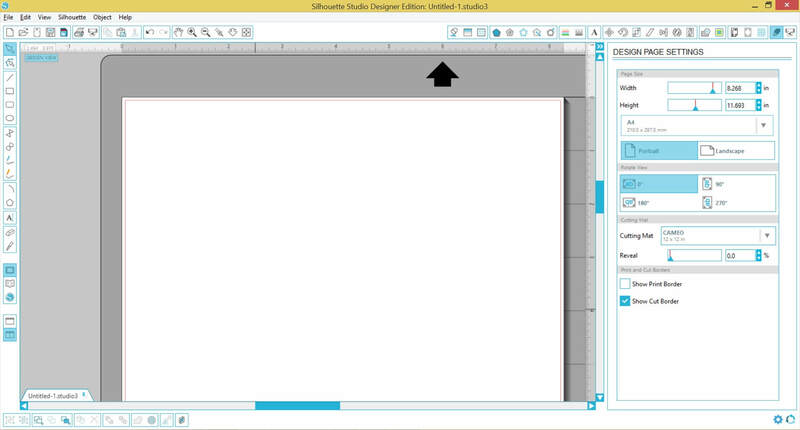 As previously mentioned this method will also work when opening DXF files in Silhouette Studio. 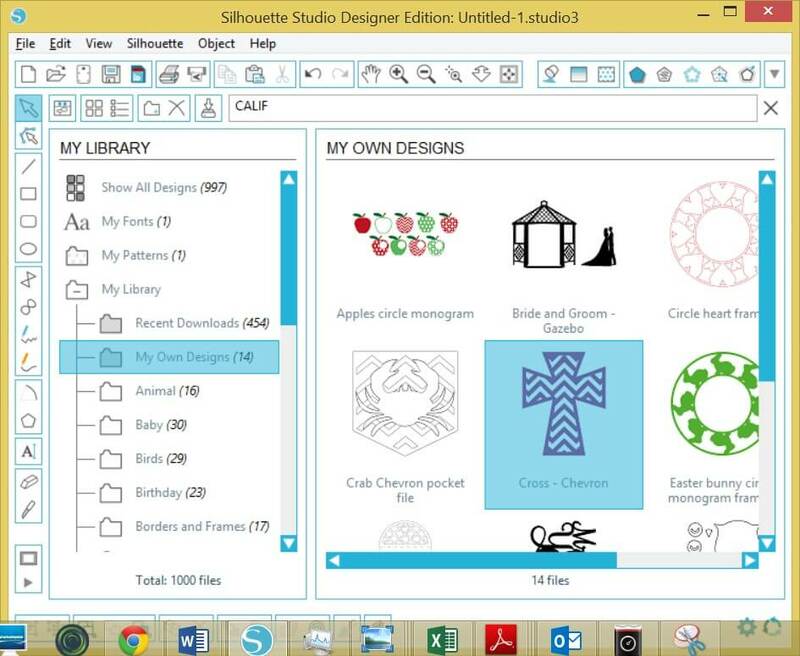 DXF files can be used without having to purchase the paid editions of Silhouette Studio. The design shown above is part of a set of Patterned Cross Designs, available in SVG, DXF and EPS formats. If you are interested in purchasing this design you can do so by visiting my Etsy store, please click the link below to take you there. Thank you for reading, if you like this then please share, pin or comment below.